Once the dust had settled on Mohamed Salah’s record-breaking 44-goal season in his first campaign as a Liverpool player the conversation quickly shifted from one of celebration to debate: could he repeat the trick? From both within – Steven Gerrard being the most noticeable example – and outside the club the overwhelming consensus was that for all his brilliance in front of goal, the idea of Salah getting near such a figure in 2018/19 was unlikely. Here, we analyse Salah’s start to the season and whether or not his doubters have a case. This was similar to the narrative surrounding Harry Kane after his breakout season for Tottenham Hotspur in 2014/15 but, unlike the English striker, Salah had evidence behind him to support the feeling this was more likely to be a one-off. The Egyptian was signed following a 19-goal season for Roma but that was only the second time in his career he had managed more than 10 across a campaign. Indeed, it’s unlikely that the Reds considered him a definitive goalscorer when bringing him to Anfield. A winger who can score and create, yes, but a regular and consistent provider of match-winning goals, surely not. The numbers certainly didn’t suggest so and it was a huge reach to expect Salah to become that player in his first proper season in English football. Having confounded expectations once, though, at the start of this season, the 25-year-old only seemed to support the theory that eventually he would regress to the perceived mean – something around 20 goals in all competitions. His first 11 games of this season indicated such, as Salah scored just three times. There were mitigating circumstances: playing in the World Cup following his shoulder injury sustained in the Champions League final was, in hindsight, counter-productive and set back his rehabilitation, while Liverpool’s switch to a more defensive game plan had obvious consequences in the final third. But, at the same time, during that period up to mid-October in the Premier League, Salah was averaging 4.27 scoring attempts per 90 minutes, only marginally fewer than the 4.43 he managed throughout his golden nine months in 2017/18. His expected goals (xG) over those eight league matches (discounting two Champions League ties and one EFL Cup match from the 11) was 0.69, compared with 0.62 last season. Despite Liverpool’s subtle shift away from such relentless attacking football, he was still managing roughly the same amount of attempts at goal, and with the same level in quality, yet was obviously scoring far fewer chances. On the face of it, that 20-goal target and the doubts in the summer all of a sudden looked increasingly reasoned and accurate. 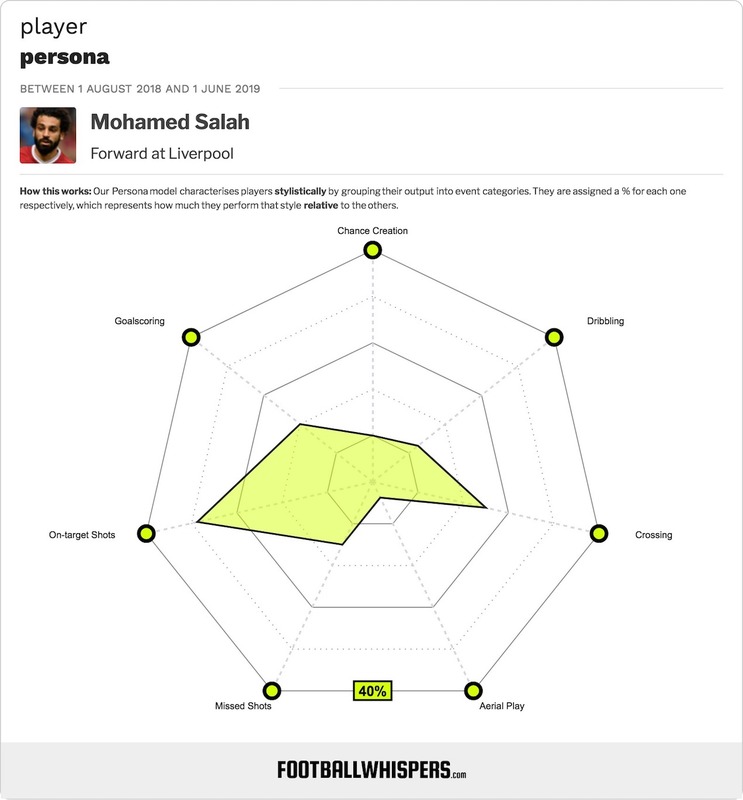 Salah’s season had been a freak, and one it was silly to think he could match. But something has changed in recent weeks and, all of a sudden, the Egyptian shares the lead at the top of the Premier League scoring charts with ten goals with a ratio that would see him finish the domestic league season with 24, and that’s ignoring the Champions League and other cups which could tip him over 30 goals, at least. But should we be that surprised, because everything suggests the penny was always going to drop eventually. In the subsequent 11 games following his lean start, Salah has scored nine times, including Saturday’s hat-trick against Bournemouth, the Cherries among the best eight to ten teams in England at the moment. That treble has made everyone stand up and take notice again. But it has as much to do with the manner of the goals he is scoring as it does the raw numbers. Salah is once again timing his runs to perfection, finding space the wrong side of defenders and then utilising his almost Lionel Messi-like efficiency in one-v-one situations. Witness his third against Bournemouth: as he bore down on Asmir Begovic, there was absolutely no way he wasn’t going to beat the Bosnian. That exterior confidence in watching him bear down on goalkeepers is a result of the self-assuredness the player exudes in his body position, close control and decision-making. More often than not, he knows exactly what to do. Recovering from his shoulder injury and general fatigue, not just post-Russia 2018 but post the most energy-sapping and demanding season of his life, has clearly played a huge part. The more comfortable he is feeling physically is clearly transferring to his decision making and general comfort on the field. From mid-October to now in the Premier League, over a second set of eight matches, Salah’s attempts have even dropped to 3.54, with his xG hovering around the average of 0.64 per 90. But the chances are now being taken with greater regularity. The latter number is the most important because it outlines the quality and the frequency of the chances he is getting. And, despite the dip in production at the start of his campaign, it is synonymous with what he managed in 2017/18. The anticipated return to the mean that appeared to be occurring from August-October, in fact, hasn’t happened at all. Salah has always essentially been at the level he was, and everything suggests he’ll continue to be. Barring injury, what that means is the potential for another considerable goalscoring season, admittedly depending on Liverpool’s progress in the Champions League and FA Cup which obviously help boost his opportunities to score. But there is also the fact Klopp is increasingly playing the Egyptian as a central striker, as opposed to sticking him wide right of his front three. Of his 23 appearances this season, 13 have been in his traditional position and seven as the focal point of Liverpool’s attack, as witnessed at Bournemouth. The Liverpool manager has largely been reluctant to use Salah through the middle against the “bigger teams” but it’s clearly a long-term project and over time, the 26-year-old should be afforded more time centrally, less concerned with defensive work and to focus simply on hitting the back of the net. There is a case that Salah is yet to score against an elite side this term, or even a very good for that matter. Outside of Bournemouth, he has found the target against West Ham United, Brighton & Hove Albion, Southampton, Red Star Belgrade, Huddersfield Town, Cardiff, City Fulham and Watford. Scoreless against Tottenham, Arsenal, Paris Saint-Germain (twice), Napoli, Chelsea and Manchester City, he could do with a goal against a team of such calibre to truly prove he’s back to the standards of last season. 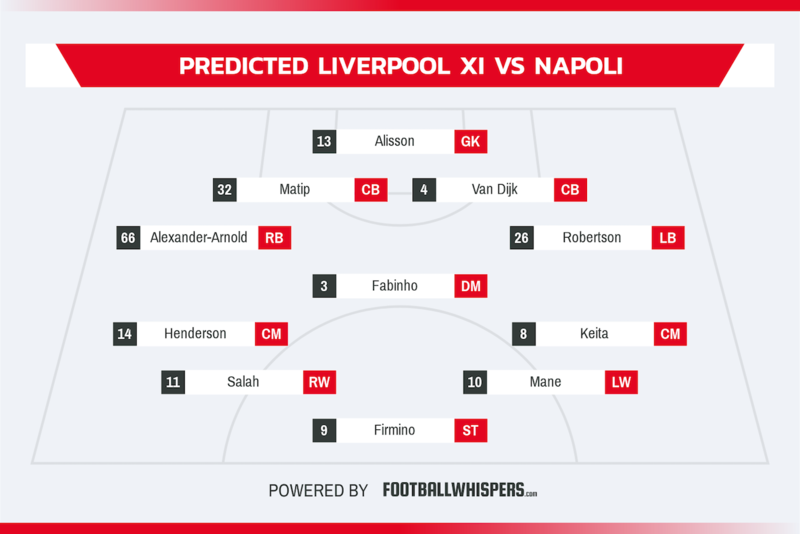 But, as the numbers suggest, that is likely to come sooner rather than later, and with Liverpool requiring victory over Napoli on Tuesday to reach the knockouts of the Champions League, it represents the perfect time to draw a line under such debate.